Rachel Rose is a highly qualified clinical hypnotherapist and hypnoanalyst, EFT & NLP Practitioner and Reiki Master/Teacher with a private practice located near Tewkesbury & Cheltenham in Gloucestershire. Offering a professional, caring and confidential approach to address a wide range of issues, Rachel is a firm believer in using her wide range of complementary therapies to help people create the life they want. Rachel has a “big bag of tools” and will tailor each session specifically to the client’s needs; sometimes combining the therapies should it best suit the client. Hypnotherapy, EFT, NLP, Talk Therapy and Reiki healing are very powerful working either on their own or as combined therapy as they work very well together and can only benefit the client’s well-being. Rachel is a Member of the Association of Professional Hypnosis and Psychotherapy (APHP). Membership demands high standards of training and ethical practice. All APHP members must abide by the association’s code of practice and ethics and agree to discharge each and every client from treatment at the earliest possible moment, consistent with that client’s good care and have the utmost respect for a client’s confidentiality at all times. Rachel is also a Member of the Association for the Advancement of Meridian Therapies Technique (AAMET). Rachel was professionally trained (2006) at the highly respected Royal Berkshire College of Clinical Hypnosis (RBCCH), obtaining a Diploma in Hypnotherapy and Psychotherapy, incorporating Hypnotherapy, Hypnoanalysis, and techniques in Psychotherapy, Neuro Linguistic Programming (NLP) and Emotional Freedom Technique (EFT). Rachel was also nominated as “Most Outstanding Newcomer” to the hypnotherapy profession by her college. Rachel is registered with the Complementary Natural Healthcare Council (CNHC) so you can be confident that she is properly trained and qualified. 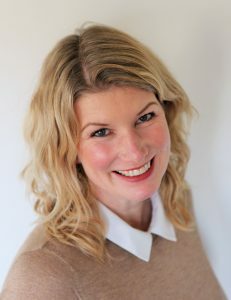 Rachel is an advanced EFT Practitioner and obtained qualifications in Levels 1, 2 & 3 (AAMET Level 3 Practitioner Certificate) and is a Member of the Association for the Advancement of Meridian Energy Techniques. The AAMET is a registered not for profit professional association, with clearly defined aims and objectives. They are committed to maintaining strong codes of ethics and practice and establish themselves as the lead training provider of Emotional Freedom Techniques. Rachel is also a Member of the Association of Meridian Therapies (AMT). Rachel has formally trained and been working with Reiki since 1999 and can trace her Reiki lineage back to Dr Mikao Usui, the founder of the Usui system of Reiki (a Reiki lineage is a type of family tree showing the energetic connection from your teacher to the founder of the system of Reiki). Rachel has also extended her knowledge and expertise to include working with animals and horses. Rachel is committed to continuing her personal development with her complementary therapies and regularly attends seminars enabling her to work with the latest techniques.